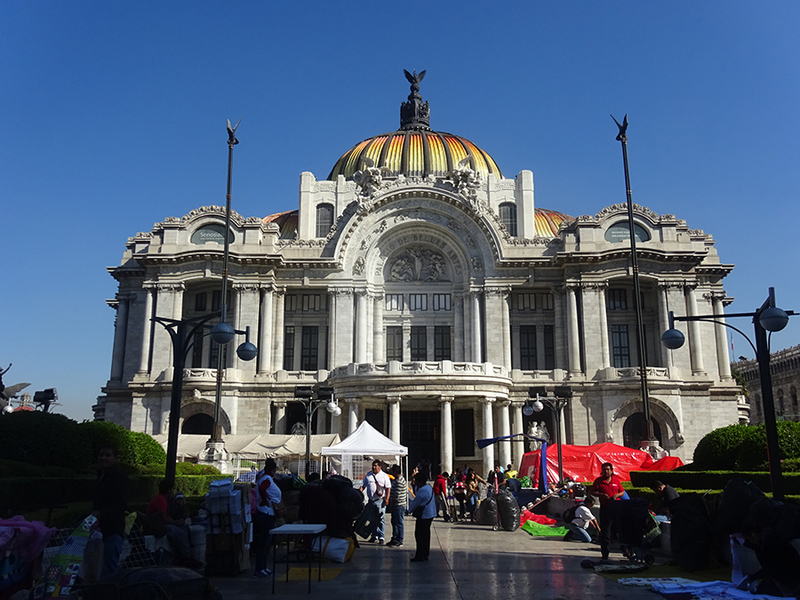 Mexico DF in 3 days – Always Look Back ! 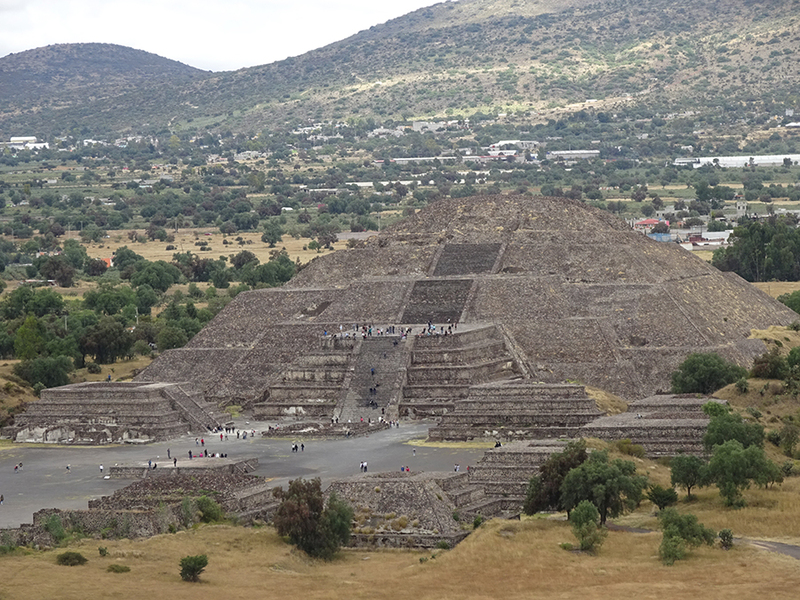 I arrived in the beginning of my trip in Yucatan to DF and took one day to visit Teotihuacan site. When I came back after one week playing Indiana Jones in the pyramids, I took a week-end to enjoy the city and celebrate the “Dia de los Muertos”. Teotihuacan was the largest city in the pre-Columbian in America, its construction has been determined around 300BC, and stay quite mysterious. The Aztecs arriving to the empty city thought it was the place where the Gods were created, or where they built the Universe! We don’t really know yet why the place has been left, or what the pyramids were made for (sacrifices surely). 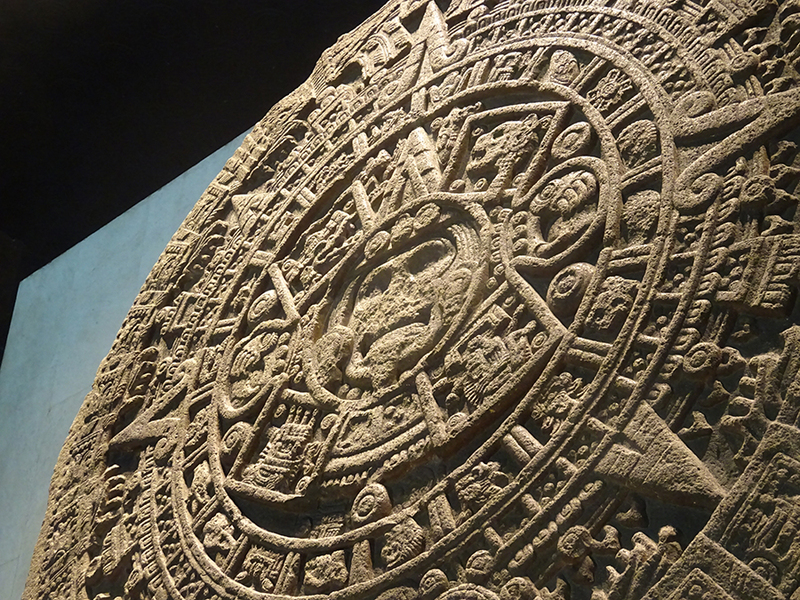 You will start your visit from the south part, visiting first a citadel and the Temple of Quetzalcóalt (the Plumed Serpent) where a tunnel had been recently found. Then you will start your way to the Calzada de los muertos (the Roadway of the Dead), seing habitations from each sides before go up the Pyramid of the Sun, the tallest one. Behind this huge pyramid, you will find the museum of teotihuacan culture with the bones discovered behind the pyramids and other reliques which gives you highlight of the development of the city. In the end of the visit you will arrive to the Moon pyramid, and the courtyard of the Quetzalpapálot palace where you can still enjoy the painted on the walls. 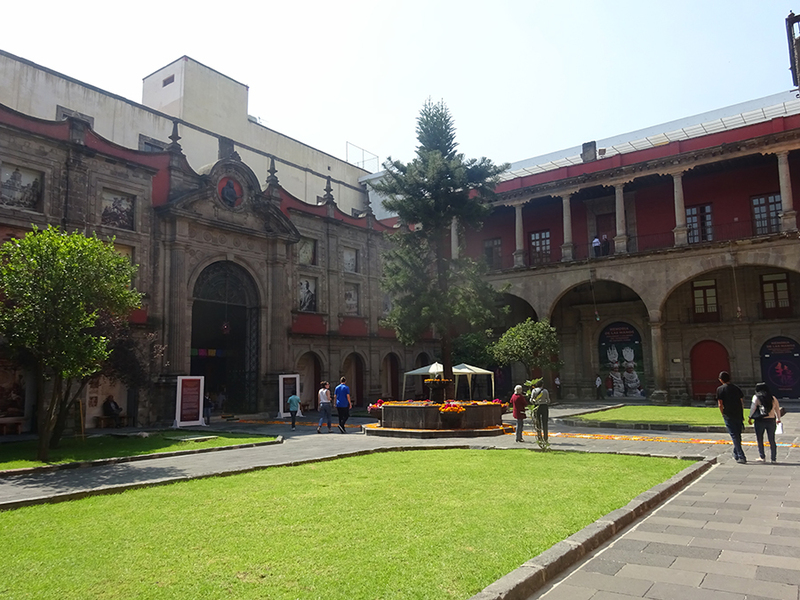 Once you exit the site, you can visit the small Museum of murals and take back the bus to Mexico DF. You would need at least 4 hours to visit everything fully, you can climb all the ruins and even if it’s full of tourists, it’s unmissable! After one week in the nice and quiet countryside (in Yucatan) I must admit I haven’t been really happy to come back to this huge capital. 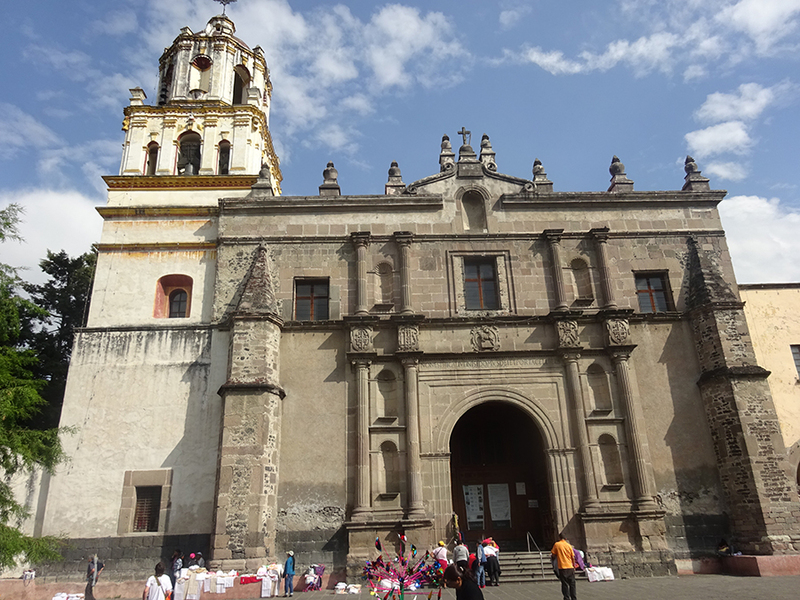 I just had a couple of days to discover this city… I’ve walked a lot in the historic center, Coyoacán and Xochimilco areas, and visited the museum of anthropology. I met in the hostel an american from California who joined me to share the first day of those visits. I had an hostel one block from the Cathedral, so I visited a lot this area. I would recommend to visit its bells, and the ruins of Templo Mayor right behind the cathedral (as the majority of the catholic churches, they used the stones of the old temples to build it…). Taking the 5 de mayo street I arrived to this gorgeous building, and walked until the San Juan market (full of scarves), and then came back crossing the Barrio Chino to join the historic center. I visited two hours this museum, it was so huge I think you can take much more time! 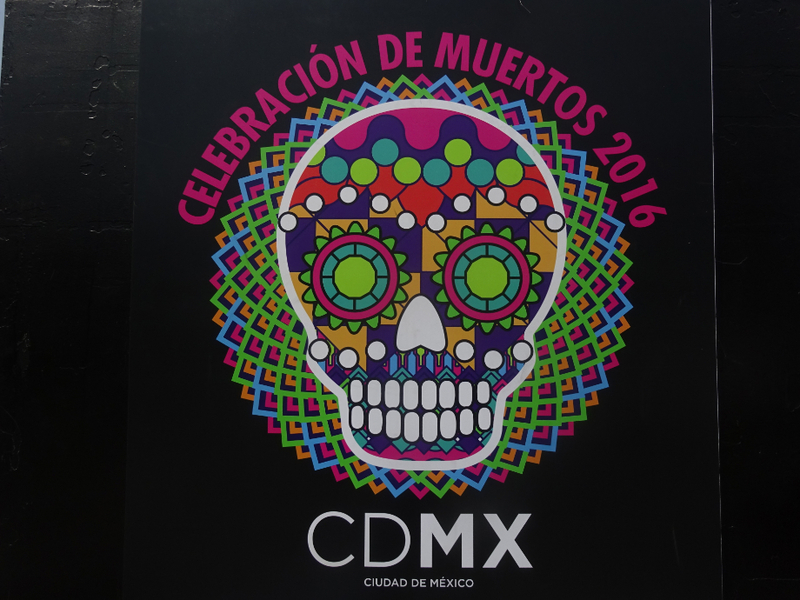 Then I walked until the Angel de la Independencía place where there was other animations for the Dia de los Muertos. 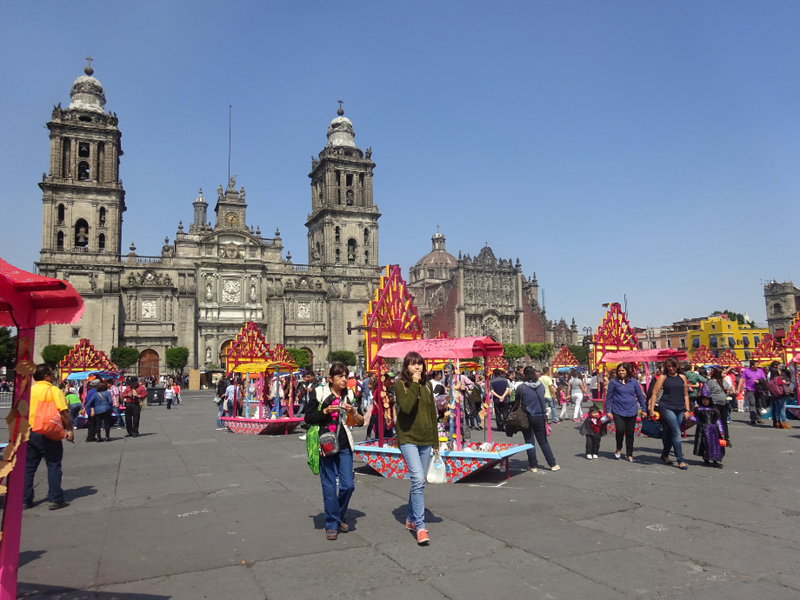 Starting from Zocalo, the cathedral place, there’s a pedestrian zone where you will find a very nice museum of cultures latin american (and others). Thanks to the bad weather this very touristic place was empty, and we were able negotiate the price of one embarcation for two 300MXN. 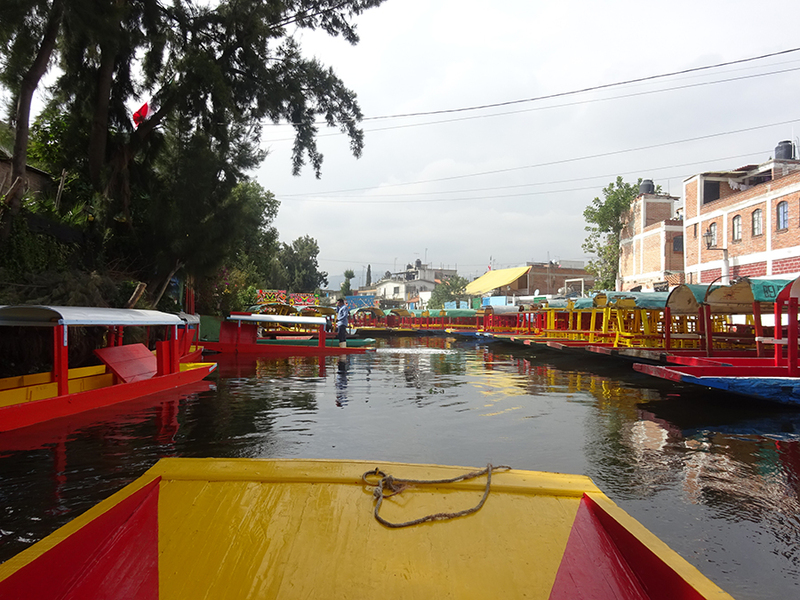 It was a nice boat trip, but nothing really special but there was the traditional mariachis playing music on an embarcation! After 1h we came back and went to a market few blocs from the port, a very local place I totally recommend. Mexico DF wasn’t really the best place to celebrate this special day. All the city was decorated for the event, and the streets were full of performances, offerings, and people dressed incredibly scary, but that’s it. For the first year they prepared a parade (that I missed) because of the reputation the last James Bond had generated, but I think the countryside is better to fully enjoy the traditions!